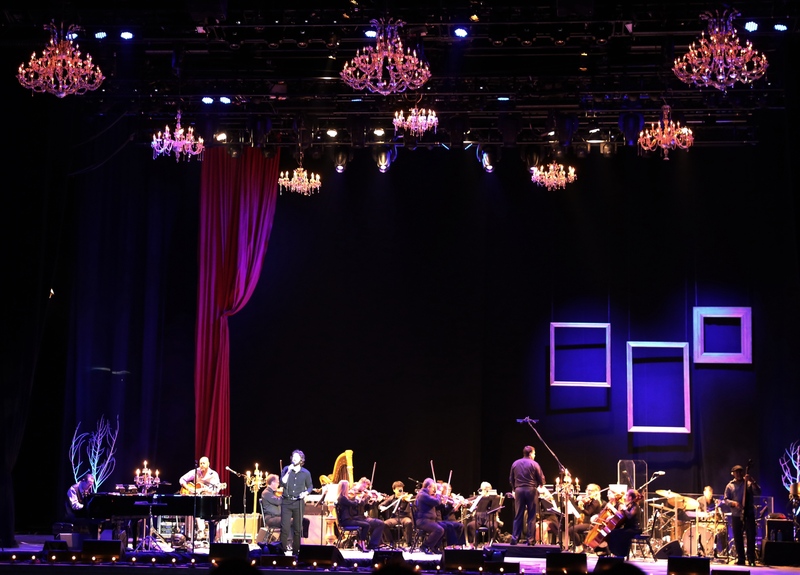 Josh Groban brought his much-anticipated Stages tour to the jam-packed USANA Amphitheater this past Saturday featuring Sarah McLachlan, a headliner in her own right, and support act Foy Vance. If vocal mastery is what you are looking for, this was the show to see. I would have never pictured Sarah McLachlan and Josh Groban touring together. Their singing style and genre of music are quite different. Well, I guess this is why I’m not in charge of booking tours because this combination of talented vocalists created the perfect musical evening. Sarah McLachlan was on point during her set in pretty much every way. With her soft and extremely pleasant speaking voice, she shared stories of heartbreak, loss, and hope for the future. 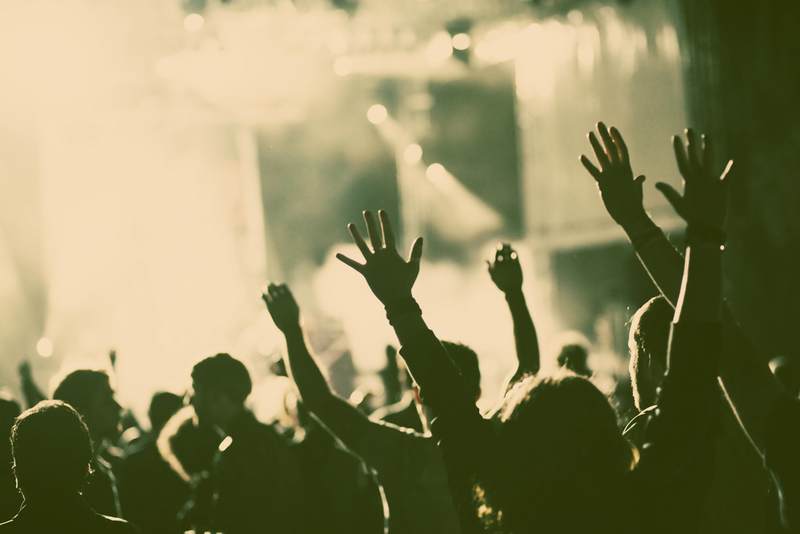 There is nothing I like more in a concert than when I say, ‘Oh yeah!’, after hearing a song that I had forgotten. Sarah’s vast catalog was on display as she sang hit song after hit song. And I found myself saying, ‘Oh yeah!’ many times as I recalled how many of her songs I like. She shared a new song that will be on her forthcoming album. It blended right in with the others. She left the stage just as subtly as she walked on. She mentioned on her way out that we might be seeing her again later. More on that later. 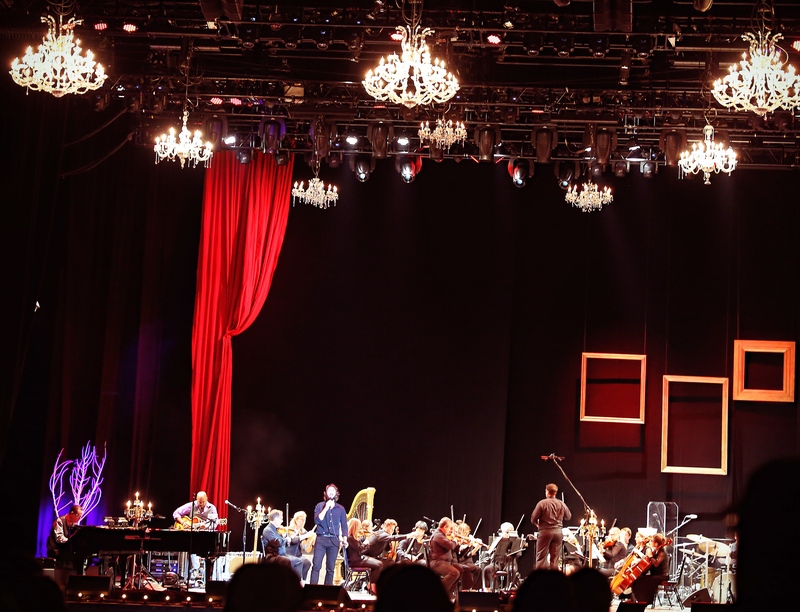 Groban began the show in front of a huge curtain with only a piano to his right. He sang “Pure Imagination” from the film Willy Wonka and the Chocolate Factory. Midway through the song the curtain parted and his band and huge string section were revealed, much to the delight of the capacity crowd. This came as a surprise to many of the fans around me. I think they believed they were in for a Josh Groban concert with just a piano and his voice. Which would be a fantastic show to see in a theater or small club. But in a venue like USANA Amphitheater, that holds 20,000 people, you need a large orchestra. I knew the music was live, and that of course, Josh was singing live, but I looked back at the soundboard a few times to see if maybe there was some sort of backing track. His voice is just that good. You must be saying “Of course it is. That’s why this venue is packed to see him.” I guess, I just wasn’t expecting him to sound that perfect live. It truly sounded as good as the recording. If not better! from Broadway musicals. I’m a fan of musical theater so I knew I’d be hearing songs that I really enjoy. Groban did not disappoint. He sang Broadway favorites such as, “What I did for love”, and a tribute to Stephen Sondheim singing “Children will listen/ Not while I’m around”, as well as the off broadway classic “Try to Remember” from The Fantasticks. One of the best moments of the night was when he sang the Simon and Garfunkel hit “Bridge over troubled waters”. Now this would have been a great moment if Josh sang it alone. But he brought out his opener Foy Vance to sing it with him. Foy has a rich soulful voice. His voice paired with Josh Groban’s polished voice created a contrasting, yet beautiful blend. There were very few dry eyes when this song was over. The highlight of the evening for me was when Josh sang one of my favorite songs, “Run” by Snow Patrol. When he got to the chorus, Sarah McLachlan joined him on stage. She had returned as promised, and they sounded so good together. They followed that song by singing her heartfelt ballad, “Angel”. Their voices were perfect together. As I mentioned, I would have never thought of these two together, but I’m so glad someone thought of it. We were very fortunate to see these two extremely talented vocalists perform together. Groban’s main set finished with his biggest hit, “You Raise Me Up”. The crowd turned into The Milky Way, as the entire audience lit up their cell phones and were invited to sing along. Josh left, only momentarily, and gave us “Somewhere Over the Rainbow” for his encore. Josh seems to be a very genuine guy. He’s one of those artists where you are really happy for his success, and he really seems to truly appreciate the career he has. He didn’t hesitate to recognize Utah as a location that has helped to advance his success in music. He mentioned his opportunity to sing at the Closing Ceremonies of the 2002 Winter Olympics. Mentioning how bitter cold it was that night, and how he didn’t realize how sad he would be making everyone singing as the Olympic flame was extinguished. He mentioned that he also filmed a DVD here and that the fans in Utah have always been great to him. 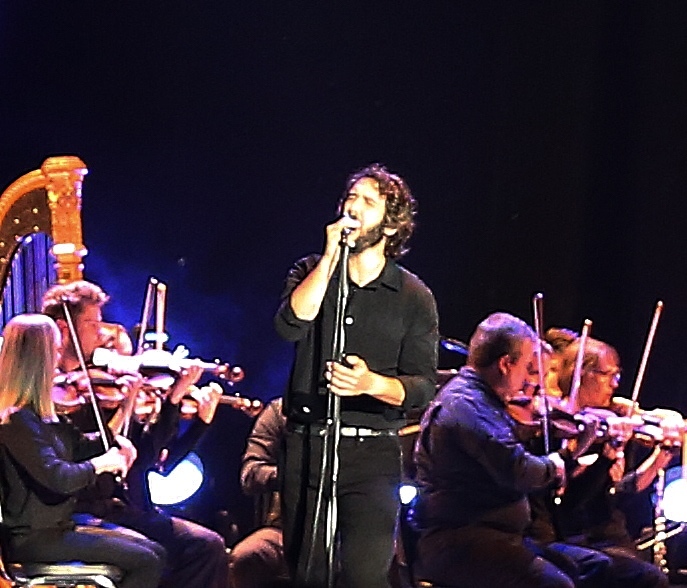 Josh Groban has really honed his craft not only as an incredible singer but as an entertainer. He’s really funny! He sings so many serious songs, whether they be classical arias, love songs, or art songs, that it would be really easy to keep his shows in that tone. But he does a terrific job of mixing these songs with humor, and interesting stories without diminishing the message of this songs. This is a true art form. And one that he has most certainly perfected. I was really impressed with this concert. To have the opportunity to see one of the premier vocalists of our day, was a memorable experience. Josh Groban might not be for everyone, and he comically mentioned this possibility in the show, but it is impossible to deny his talent and success. Look for him to make his much awaited Broadway debut this fall in The Great Comet. Wonderful review! thanks for sharing this! You are very welcome! Thank you for reading!